June 12th was a sad day for Kenya and the world. 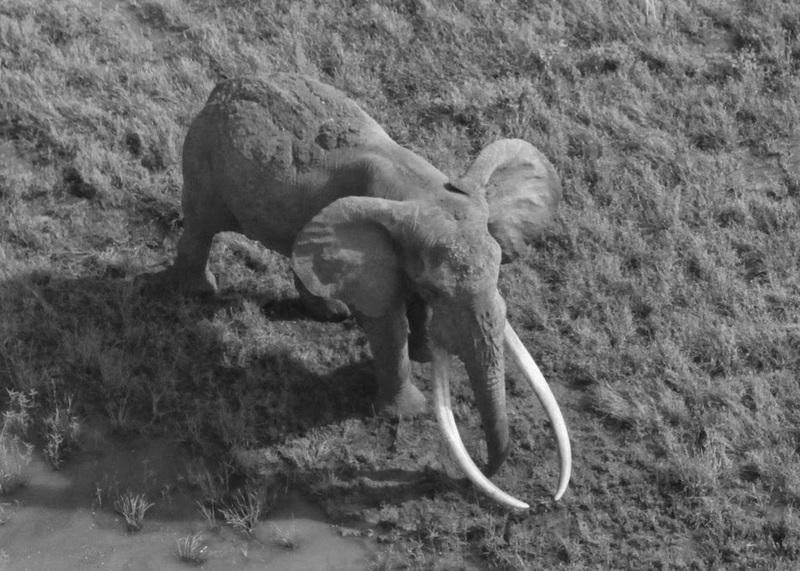 Satao, the largest bull elephant in Kenya, was killed by poachers lusting for his magnificent tusks. He was pursued mercilessly and shot with poison arrows. Satao survived that attack by enduring excruciating pain from his festering wounds. People wished him well on the internet and he seemed to be recovering. Then in the first week of this month the executive director of Tsavo Trust found a massive carcass without tusks in a swamp. Tsavo Trust runs a program to give added protection to the remaining "100lbs" tuskers. He knew in his gut that it was all that remained of Satao. It was hard to determine the elephant's identity a first because of the facial mutilation. Satao had twenty-four hour protection from the Kenya Wildlife Service as an icon of Kenya and a global treasure. Nevertheless continent-wide rampant poaching driven by greed defeated the good intentions of Satao allies. The obscene crime of poaching extends into governments and they are in denial about this stark reality. Poaching ranks alongside child trafficking. Every available resource in the world should directed to smashing it out of existence. Forever. There should be no more Sataos dying at the hands of humans. Kenyan officials will be rightly embarrassed when it hosts the UNEP Governing Assembly on June 24th, as they try to explain how such a gentle, intelligent, and compassionate giant of the world met such a despicably tragic end. Kwaheri good elephant! The most anger producing circumstance of this story is that Satao knew poachers wanted his beautiful gleaming tusks that touched the ground. His behavior told humans he knew his tusks were endangering his life. Satao deliberate hid them from view in bushes. But even a half-century of survival skills could not defeat craven humans using cheap Chinese tech junk such as motorcycles, GPS phones and night goggles. To see a land animal as large as Satao was is truly inspiring, even a little frightening. US Person vividly recalls coming suddenly upon a Namibian tusker around a track bend, deep in the bush. He was as tall as the large trees he was contently feeding upon, or so it seemed. But Satao, Mountain King, and other bulls like them are rapidly disappearing from the face of the Earth. Only 12 remain in the Tsavo Conservation Area. Their species will be the lesser for their needless deaths--so will man.